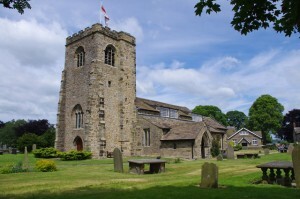 Nestled in the Ribble Valley, the pretty village of Ribchester has a very long history. It has a strong cotton weaving heritage and an original row of weavers’ cottages still stands opposite the local pub. Going much further back in the past, Ribchester has its roots in the Bronze Age and was also the site of an auxiliary Roman fort. The village has a Roman museum dedicated to its ancient beginnings and was even visited by Time Team in the early 1990s. Hog Roast Ribchester’s cooking methods also have ancient roots, but thanks to our innovative approach and modern menus, we have changed the way people view hog roast cooking and have gone on to become the premium supplier of hog roasts in the area. Whilst staying true to the traditional hog roasting technique, we have developed an impressive range of ultra-modern roasting machines, which are capable of being transported to and used in any indoor venue or outdoor location in the area. This gives you the option of celebrating your special occasion in a place that is close to your heart, rather than having to host your event in a more traditional function room setting. 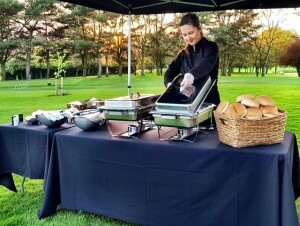 Hog Roast Slaidburn’s catering team are just as versatile as the high-tech machines we use to prepare our extensive range of menus and we have years of experience in cooking up a storm in any venue, for all manner of special occasions. As well as providing superior hog roasts, we also offer equally delicious alternative meats, including beef, chicken, lamb and turkey, all slow-roasted to the same excellent standard. If you have non-meat eaters on your guest list, they certainly won’t be going hungry, because we have a variety of tasty vegetarian dishes for each course, all prepared with just as much skill and care as our range meats. What’s more, every single ingredient on all of our menus is sourced exclusively from the best local food producers. 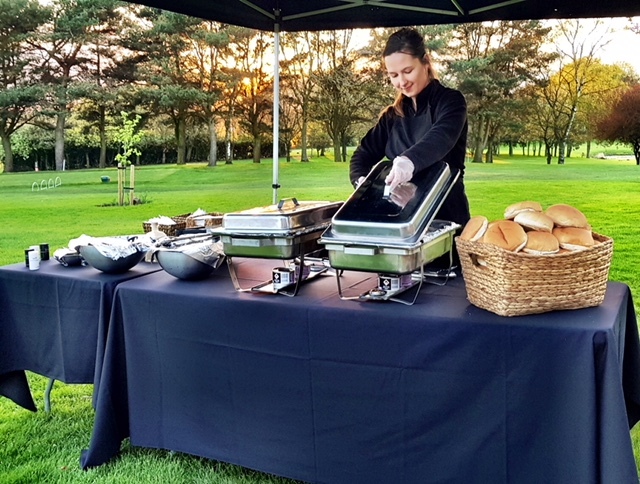 Whether you are looking for a superior seasonal menu, a sophisticated 3 course meal for your wedding reception or wholesome, hearty hog roast sandwiches for a local festival or market, Hog Roast Ribchester have all the answers to your catering needs.